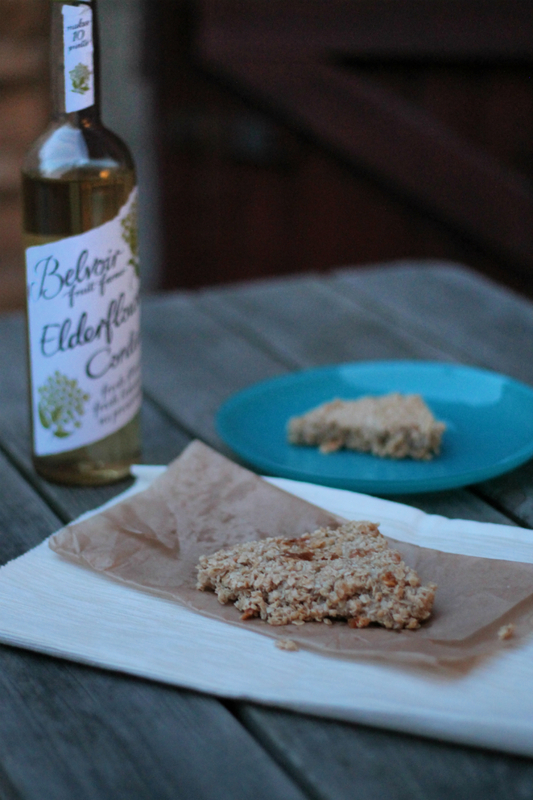 I’ve been experimenting with baking with Elderflower and decided to try some Elderflower and Maple Syrup flapjacks. It’s a really simple recipe and we could definitely taste the Elderflower flavour in the finished result. Melt the butter over a low heat and add the sugar. Mix them together over the heat. Add a dash of Belvoir Elderflower cordial (amount according to taste) and mix again. We added a generous dash of undiluted cordial, and the flavour came through very well. I had thought that maybe it wouldn’t, which is why I was quite free with the amount I poured in. I think about a tablespoon would be enough to give the flavour. Transfer the mixture to a tin or tray. We used a non stick round tray. Enjoy! You can try them straight away but they are best left a while to set if you want to cut them into slices easily. Flapjacks are one of the simplest and cheapest treats to make and they work well in lunchboxes, or for a snack, or even for a picnic. I hope you like this Elderflower variety! These are British flapjacks. I have heard that an American flapjack is a type of pancake but this is something different. It’s more like an oat bar or a granola bar, and if you have not tried them you should definitely give them a go! If you like flapjacks, what are your favourite varieties? Let me know in the comments! These sound lovely. I haven’t made flapjacks in ages, might have to try these. this sounds so yummy, will so have to try this. Thanks for sharing. Not something I’ve ever tasted but the flapjacks look good. 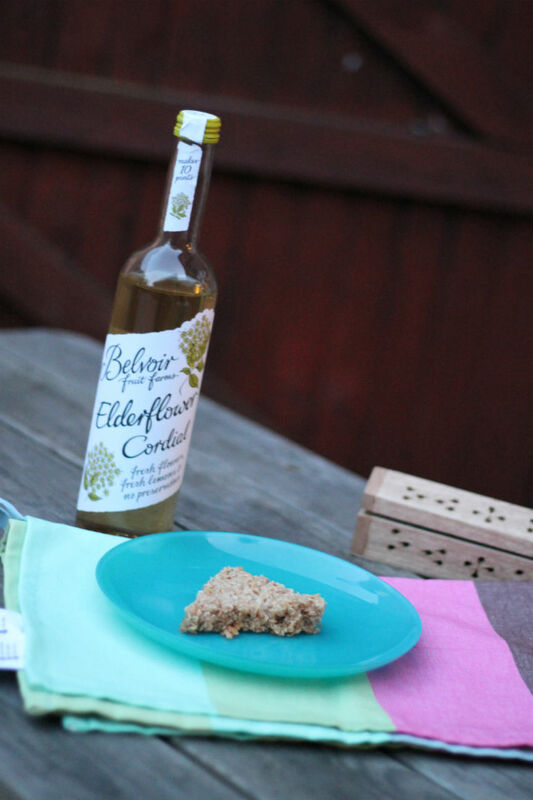 Wow I’ve never heard of Elderflower Cordial. Is it a wine? These look like they would taste really amazing though. Thanks so much for sharing it with us at the Creative Style Linkup! I’ve never heard of Elderflower Cordial. I find it interesting that a British flapjack is like a bar. That makes it easy to discern what it should come out like. I’ll have to check out my local health food and world food stores to see if I can find this. Thanks for sharing with Creative Style!